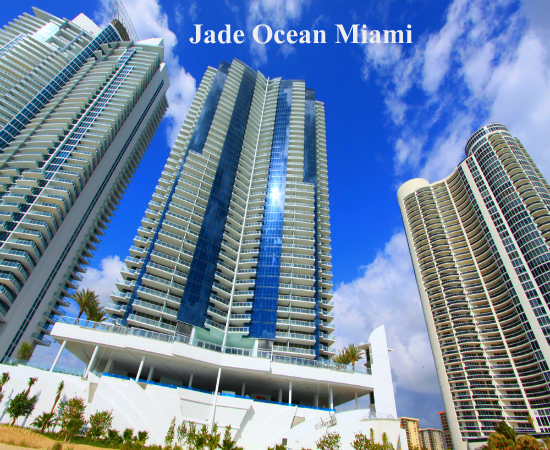 Why Jade Ocean, Miami Is the Ultimate Choice for Buying a Luxury Residence? Do you wish to live in a lavish oceanfront luxury home? In this present era, the luxury condominiums situated in the popular beachfront locations have redefined the way people perceive luxury living. These beachfront luxury properties have enabled people to enjoy a highly sumptuous coastal living experience. Today, the oceanfront luxury condos have gained a great momentum among the condo buyers all over the world. These luxury condos are very popular among the investors as well as end-users who enjoy living in Miami. Thus Miami became one of the most popular world destination for the oceanfront real estate properties which offer a wide range of luxury living facilities also enable people to remain well-connected to the important city areas while still enjoying the coastal lifestyle. Such excellent variety of features makes these luxury condos the topmost desirable luxury real estate properties around the globe. The beautiful beaches with warm tropical climate and pleasant atmosphere are the most attractive travel destinations all over the world. The establishment of the luxury condominiums in the beautiful beachside destinations has turned the oceanfront travel locations into a highly sophisticated luxury residential area. In the recent times, the popular beachside locations are flourishing with many attractive luxury condominiums. One of the most outstanding luxury real estate properties that attract a huge number of condo buyers around the world is the Jade Ocean in sunny Isles Beach. The Jade Ocean condominium is a 51-storey high tower that offers 256 spacious residences, which are all exclusively designed and decorated. The units of these magnificent luxury condominiums offer a range of top-of-the-line amenities to the residents. So, if you are desirous to obtain an exclusively designed luxury home, then the Jade Ocean condo should be the perfect choice for you. 7. Units equipped with inbuilt smart home features, which enables control of the lighting systems, etc. If you are on the market to purchase a luxury property in Jade Ocean condominium, get in contact with the on-site sales person of One Sotheby’s International Realty Sunny Isles Branch. Also, if you are willing to obtain detailed information about this luxury condominium, please visit the official website of the real estate firm or you can also call our office of One Sotheby’s International Realty at (305) 336-0457.